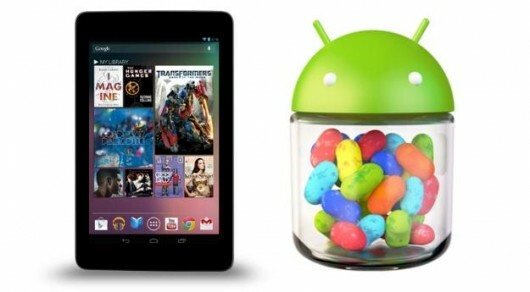 Want To Upgrade Your Nexus 7 To Android Jelly Bean 4.1.2? Here’s How! The Google Nexus 7 tablet has become quite a hit with people looking for a smaller alternative to the 10-inch tablets but at a price that won’t break the bank. If you’re one of the device’s happy owners and are looking to upgrade the OS to Android 4.1.2, you have two options — wait for the Google Nexus 7 update to reach you or do it manually. How? We’ve got the easy-to-follow steps below. The update procedures are intended or devices that are still running the stock ROM. Now, we don’t want you bricking your device so be sure to read and follow the instructions carefully. If you think you don’t have the technical proficiency to do this, it might be a good idea to call a buddy who has or just wait for the update to reach your device. Ourzip file containing ADB executablesfor Windows, Mac and Linux. On your Nexus 7, go to Settings > Development options and switch the toggle on. Then enable USB debugging under the “Debugging” menu group. When the Android with the red exclamation point appears, hold down power first, followed quickly by volume down and volume up. (So that to start, you’re holding down power, then you’re holding down all three). When the menu appears, release all three keys. The update should begin installing. When it’s done, select “reboot system now. That wasn’t so hard, was it? Once you’ve completed the steps, you can now enjoy your brand-spanking-newly-updated Google Nexus 7!